Leningrad 1941: the white nights of summer illuminate a city of fallen grandeur whose palaces and avenues speak of a different age, when Leningrad was known as St Petersburg. Two sisters, Tatiana and Dasha, share the same bed, living in one room with their brother and parents. The routine of their hard impoverished life is shattered on 22 June 1941 when Hitler invades Russia. For the Metanov family, for Leningrad and particularly for Tatiana, life will never be the same again. On that fateful day, Tatiana meets a brash young man named Alexander. The family suffers as Hitler’s army advances on Leningrad, and the Russian winter closes in. With bombs falling and the city under siege, Tatiana and Alexander are drawn inexorably to each other, but theirs is a love that could tear Tatiana’s family apart, and at its heart lies a secret that could mean death to anyone who hears it. Oh what can I say about this book…Paullina Simons definitely knows how to write! 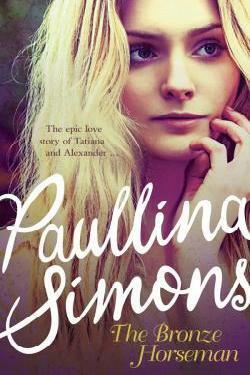 the way she wrote the story was amazing and Paullina described the war and characters so well. I love every single thing about this book. I had so much mixed emotion during reading it. The Bronze Horseman is my first historical fiction book I have ever read. I struggle to read it at first as it definitely wasn’t an easy read, a few words I had to google. Characters name were hard to read, so I basically just skip those names 😂. Overall the writing, the story and the characters were created well. Paullina Simons did an amazing job with this book. This book is definitely one of my favourite. I really highly recommend it.